Fighting games can be a blast to play. However, for new players to the genre, early experiences can be extremely frustrating. When you lose in a fighting game, there is no excuse other than that your opponent was better than you in that match. This is especially true for beginners. 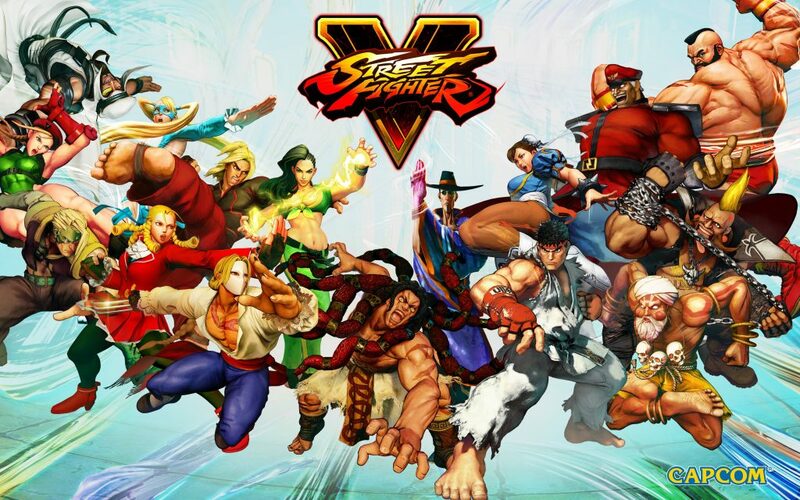 With the first season of Street Fighter V wrapping up, and Capcom Cup 2016 just around the corner, here are some basic tips for new members of the fighting world. Keep in mind, these steps are not just to help you improve your fighting skills, but also how to have fun and enjoy the experience. Once you venture online into ranked or casual play, get used to seeing Ryu and Ken early and often. These two fireball throwing warriors have been staples of the game dating back to the beginning. They are balanced characters that can do damage from a variety of ranges and are great for learning the basics of the game. However, just because Ryu and Ken are icons of the franchise, don’t feel like you have to use them. Find a character that fits how you want to play. Want to play high octane, fast paced, and try to keep your opponents guessing? Give Rashid a whirl or take a stab with Vega. Combatants like Dhalism, Nash, and Guile both allow you to fight from a distance. 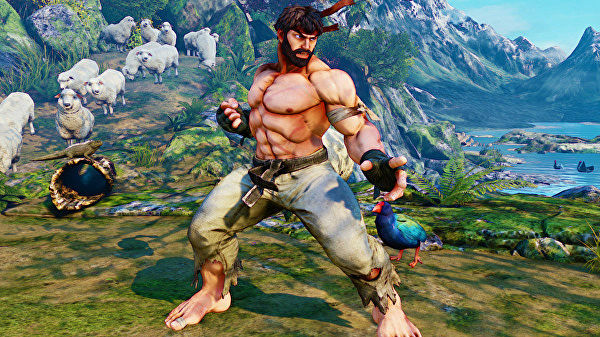 Characters like Zangief, Mika, and Laure will keep your grappling skills polished. Every fighter in SFV can be dangerous and effective. Finding the style you like will put a smile on your face and make losses and learning experiences much more enjoyable. The best part about training mode: unlimited do-overs and nobody hits back. 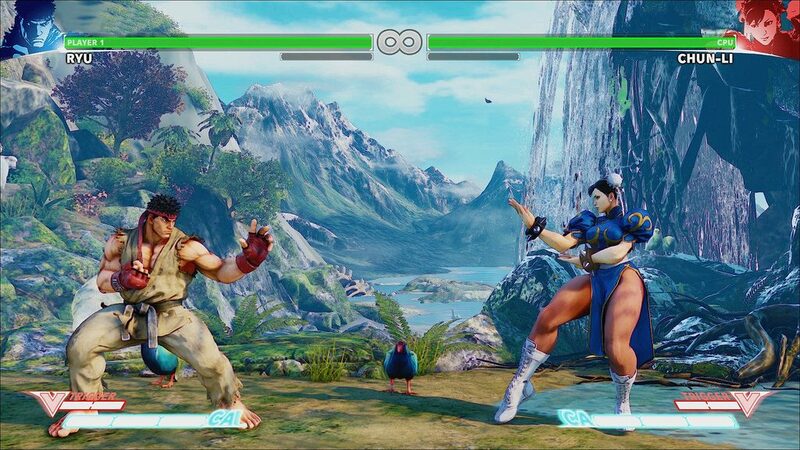 Any fighter’s move set can be a daunting thing to look at for someone not familiar with Street Fighter. Start at the beginning with training mode. Try out each basic and special attack against a static opponent and get a basic idea of what kind of range and effectiveness each attack has. Figure out some easy combos to chain together for some additional damage. Most importantly, start working on your muscle memory. Approach training with the goal of getting things to the point where you can perform any move with your eyes shut. After you get a feel for the basics and want to see where you stand, give online a shot when your ready. Treat your first fights as a learning experience. What worked well? What didn’t? Take that stuff back into training mode. Embrace the challenge of getting better. Also, remember that this is a great place to practice against fighters that give you a hard time. Just pick the character you need to practice against, take them out of dummy mode, and ramp up the difficulty level(5 or 6 usually does the trick). Street Fighter on your own can be a grind and a challenge. Street Fighter with a friend who knows the same or less than you can take a frustrating experience and turn it into an amazing evening. Trying to learn on the fly in versus mode, yelling advice at each other in online bouts, and breaking things down after each fight can take every controller throwing moment and turn it into an hilarious one. There is nothing better than rolling on the floor laughing every time Fang tells you to “Take the poison!”. Versus mode also gives you the chance to play as every character and figure out exactly who your main will be. The common saying may be “the best defense is a good offense”, but in SFV, your best offense early and later on may just be a great defense. With the removal of chip damage to win a round(with the exception of Critical Art), blocking, V-Reversals, and anti-airs can get you wins early and often. The rush of blocking a flurry of attacks just to counter with that combo you have been working on makes all the hard work feel like it is really paying off. Learn how to play defense and you can extend the length of battles and in the process learn how to punish over-aggressive players. Blocking successfully can help build confidence to continue moving forward. No matter how much practice you put in, your gonna lose your share of matches when you go online. Losing in fighting games as a beginner can create plenty of frustration. Training mode and powering through online are great ways to improve. However, like anything else in life that can give you a hard time, sometimes it is best to just walk away. Put down the controller, take a walk, and cool off. Let you brain reset and calm down. Once you think you’re ready, hop right back in! A final way to learn the ins and outs of Street Fighter, watch the professionals. Find out who the best players in the world are at using your character and observe what they do. Then take what you see into training mode and try to recreate it. Beyond simply watching the best in the world, players can also learn from them by taking lessons. CrossCounter Training is a site that was developed by Ryan “Gootecks” Gutierrez, a mainstay in the fighting game community. From the site, players can schedule training sessions with him, as well as some of the best players around the world. In a one hour session with any of the trainers, you can learn things about the game that could take weeks to understand on your own.